Byron Bay is easily Australia's most iconic beach towns. If you come to this laid back town, it's easy to get caught up in the tourist trap and have yourself second guessing about why the region gets so much hype. But have no fear, we are here to help you steer clear of the madness and keep your wallet closed and enjoy this magical place on the cheap. First of all, the town on Byron itself has gone from a small town bohemian paradise to what we like to call Byron Pay. The word is out about this sweet little town and there is massive influx of Euro backpackers trashing the area. In response, council has made every beach paid parking and they are on a daily hunt for vanlifers trying to bust a cheeky camp. They will not hesitate to issue you a hefty fine if caught sleeping in your vehicle. This entire town tries to cash in on their tourist reputation by trying to lure you in and get you to open up those wallets to have a unique laid back bohemian experience. 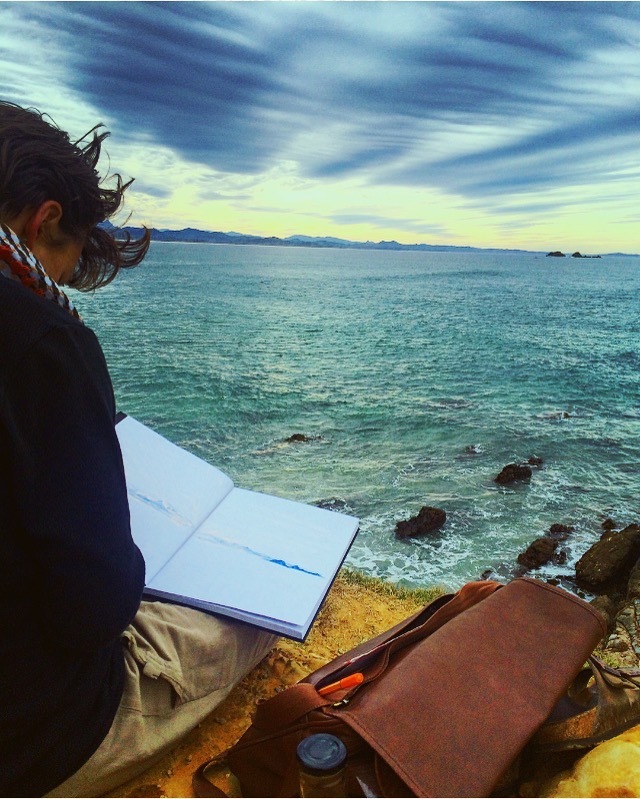 We write this blog for travelers that have their own vehicles and want to escape the ordinary and live as a local and experience this place and it's charm. 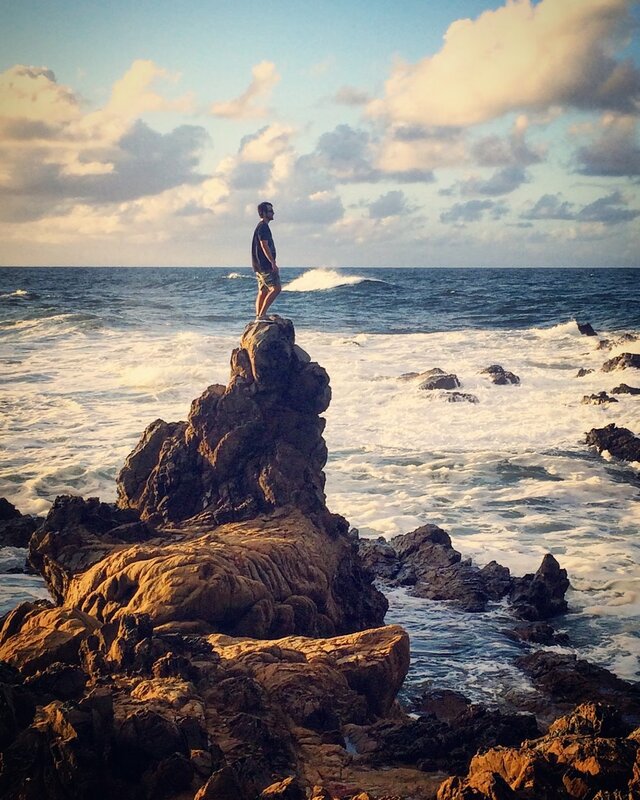 Here are 5 must do's and free activities to check out on your Byron Bay holiday. 1. Wategos Beach - Get up at the crack of dawn and drive down to Wategos beach the only beach in Byron with free all day parking and watch a classic east coast sunrise. The car park fills up quick but if you arrive at around 6am your guaranteed a premier spot overlooking the best beach in Byron. Wategos has an amazing and very friendly right handed point break that is suitable for all surfers. While it's more of a long boarders destination, it can serve up some great rides for all board sizes. There are also a handful of amazing walks around Wategos you can walk to the most eastern tip of Australia, the iconic Byron Lighthouse, and all the way to Main beach in Byron. Make sure to bring in food for the day there are nice BBQ's around but the cafe is a bit pricey. We highly recommend visiting the Cafe on the Waves coffee van which is there almost every morning from 6am till about noon. 2. 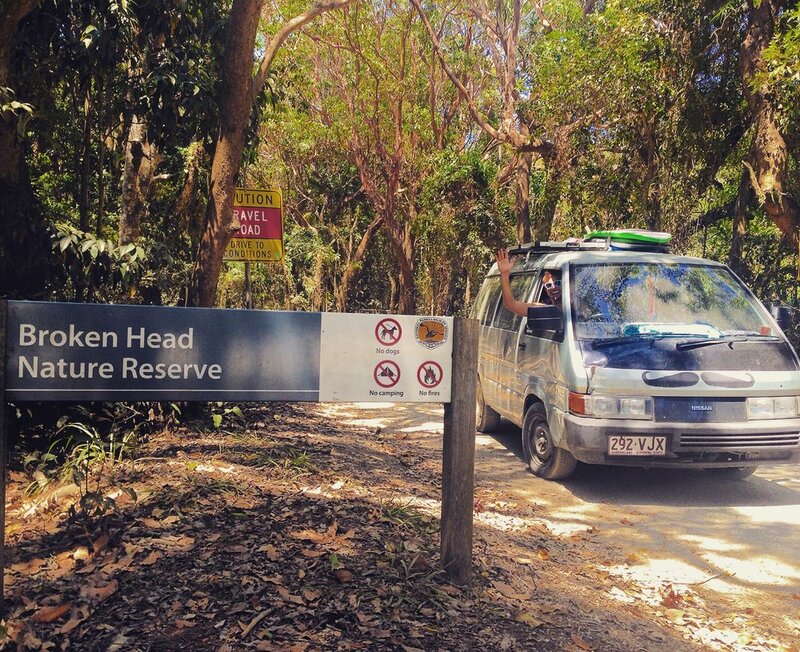 Broken Heads Reserve - Just a few kilometers outside of Byron is the Broken Head Nature Reserve. Most tourists don't have vehicles or the knowledge of this hidden gem. So, most days especially weekdays, this reserve is almost empty. Short walks can take you down to remote Kings and Whites beach where we have many times had this beach to ourselves. Drive to the end of Seven Mile Road to Seven Mile beach and walk this long stretch of beach in solitude. We've even seen bioluminescent algae here and have had some of the most amazing nights star gazing at the Milky Way Galaxy at this secluded beach. 3. Mount Warning - Just an hour drive inland will bring you to Mount Warning. Once an active volcano, Mt. Warning is the highest peak in the region and visible from Byron Bay. During the winter months, the peak at Mt. Warning is the first place to see the sun rise in mainland Australia. While it isn't the easiest hike, it is something that every traveler visiting the east coast should do. In order to reach the summit by sunrise, you'll want to arrive around 3am. We slept in the car park to make sure we made it up to the summit in time. From the summit, it's an amazing experience to watch the sun rise over Byron Bay. After the hike we recommend driving through the quirky town of Nimbin for breakie and maybe even a few brownies for your relaxing day in Byron. 4. Whale watching - While there are numerous wale watching outfitters in the region, one of your best bets to watch these amazing creatures is from a short walk from the Wategos car park. From July to October, Humpback whales dominate the ocean. 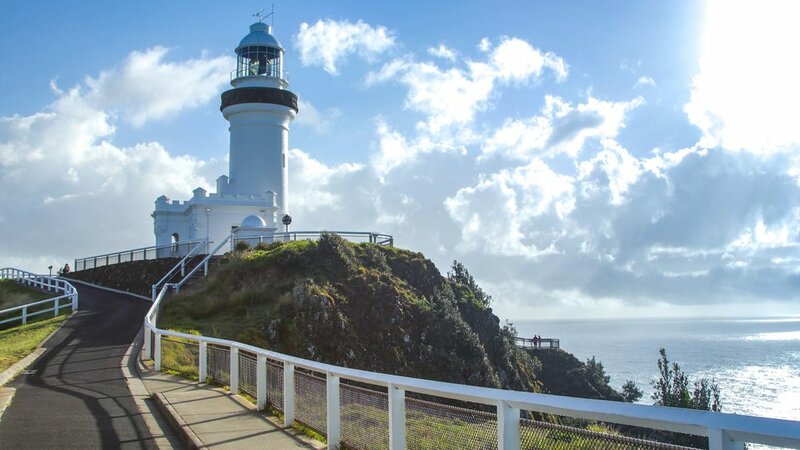 From cape Byron, you can see countless whales and calves breaching, tail and fin slapping, and preforming all kinds of whale behavior right from the point. You'll be amazed a how close they will come to the rocks. The whale migration it's easily one of our most unforgettable Aussie experiences. If you really want to get up close and personal, you would want to board a tour but you will be amazed at what you can see from Cape Byron. 5. Food and Drink - While never spending a dollar is ideal, eventually, we all have to eat. This is where I recommend opening up that wallet, because after all, ramen and PB&J get old. There is one cafe on the way into Byron that I just can't deny stopping at, Folk Cafe. I go in for a Beetroot Late and come out with a full tummy. I just can't help it. This down to earth spot has some of the most creative and interesting hot beverages you will ever encounter. To top off your Byron Bay experience, pop on over to Stone & Wood easily one of our favorite beers in Australia. If you are interested in touring the facility and seeing how the magic is made, they do tours daily. Or if you were just looking to wet your whistle, they have inexpensive flights with the following beer just $5. Take advantage of the $5 beer... you'll never see a deal like that again in Australia.